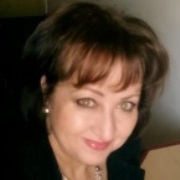 Elsabé Engelbrecht, former Provincial Subject Coordinator for Tourism Education with the Northern Cape Province Department of Education in South Africa, has more than thirty years of experience as a teacher and extensive experience as a Tourism education manager. As a member of the National Training Team (NTT) for the South African National Department of Basic Education, she has been involved in the training of Tourism teachers and the development of Tourism teacher training material. In 2010 she was appointed writer of the amended national curriculum for Tourism (CAPS) and is currently Chief Examiner for the exit level examinations (grade 12) in Tourism. Elsabé was a member of the Umalusi research team from 2011 -2014 which investigated the quality of the curricula underpinning Tourism qualifications, its assessment and search for international examples of good practice to strengthen the South African qualifications. In 2005, Elsabé was one of 10 Tourism teachers in South Africa to receive the prestigious “American Express Fellows Award”, awarded by the American Express Foundation in New York, for excellence in Tourism Education. She has published three Tourism textbooks for South African schools and presented a Tourism student support program on national television (SABC 1) in South Africa. Elsabé is currently working on projects with various stakeholders to capacitate Tourism teachers across South Africa and to excite high school learners about careers in tourism and hospitality.